Before any reconstructive dental treatment can begin in Mexico, our skilled dentists will start with a thorough cleaning — as the first stage of reconstructive dental treatment is to remove any tooth decay that is causing damage to teeth. 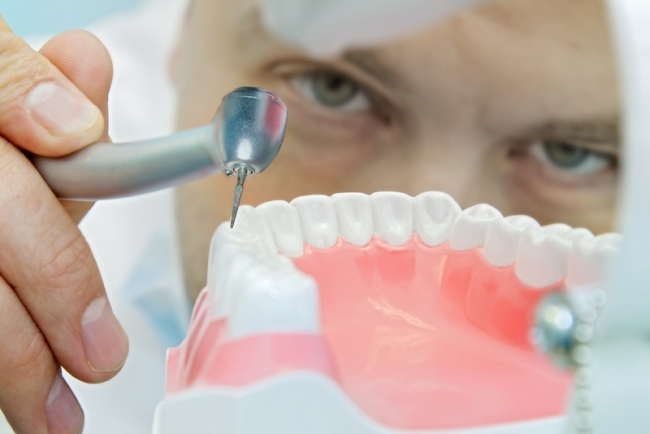 When the teeth are prepared, dentists will begin the dental crown procedure. A crown procedure usually requires two appointments. Your first appointment will include taking several highly accurate molds (or impressions) that will be used to create your custom crown. A mold is taken to create a temporary crown which will stay on your tooth for approximately two weeks until your new crown is fabricated by a dental laboratory. You will be given care instructions and encouraged to have regular dental visits to check your new crown. Once the dental crown is complete and ready to be secured to the tooth, the patient will return to the dental clinic and the temporary crown will be removed. Your dentists will then cover the tooth with a dental adhesive and bond the crown to the tooth. Heat from a laser will be applied to the tooth to ensure the adhesive secures the crown and there is no risk of it moving. Dental crowns are attached to dental implants using dental cement to secure the prosthetic cap to the replacement tooth root.